Why visit Phi Phi Island? Simple, because of the Phi Phi private boat tour. If you’re looking for a piece of Asian paradise boasting aqua water and tropical white sandy beaches then Phi Phi Island is for you. Situated only 48km from Phuket it’s a sweet location that makes it ideal for overnight stays or day trips to explore this epic Thai island. We came from Phuket to Phi Phi to do the boat tour. 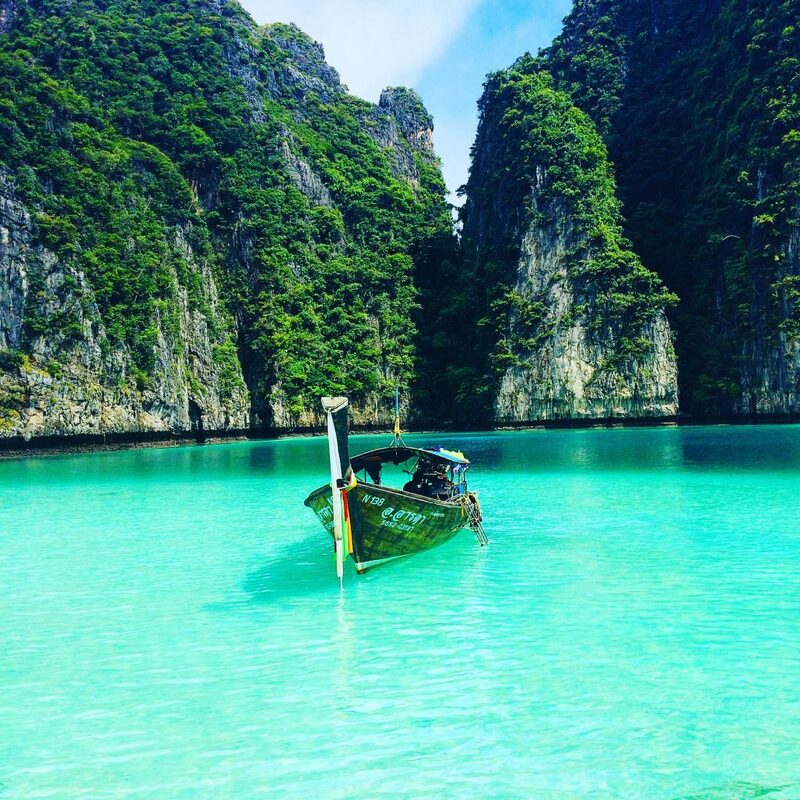 I couldn’t think of a better way to explore Phi Phi Island than book a private boat tour. There Phi Phi boat tours take you sightseeing around Maya Bay, Loh Samah Bay, Pileh Bay and Viking Cave. Or you could enjoy the Phi Phi island nightlife. . You will also be doing some epic Snorkelling on Phi Phi island. Want to do the Krabi to Phi Phi island boat tour? I would 100 percent recommend it, you won’t be disappointed. One of the typical question backpackers ask is where is the beach film filmed? This is because you will do the Phi Phi boat tour to Maya bay. Maya bay is one of the most stunning beaches in the world. Maya Bay is actually closed due to to visitors not looking after at, which is a good thing they have closed it. This amazing beach is not something that should be ruined. 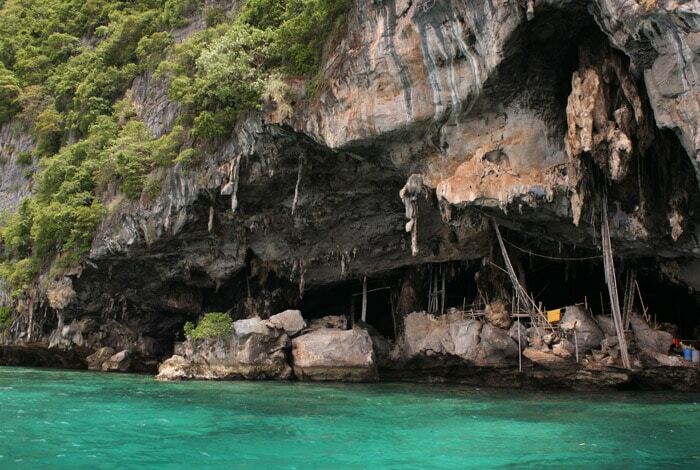 However, you can still get to see this epic bay on the Phi-Phi island tour. The boat will take you around 150 metres away from the beach. Which is the best Phi Phi private tour boat company? I will tell you this within the post. If you are staying in Ao Nang, one of the coolest things to do is the Chok Suwit tour in Krabi. How long to stay in Ko Phi Phi, 1 or 2 nights? 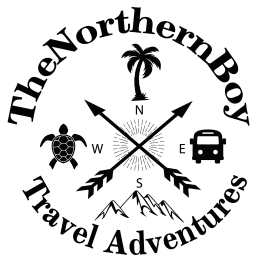 Phi Phi overnight stay guide Check out my for your visit. What are the locations of a private boat tour? What does a private boat tour include? Which is the best Phi Phi boat tour company? How much is a private boat tour? How to book a private boat tour? 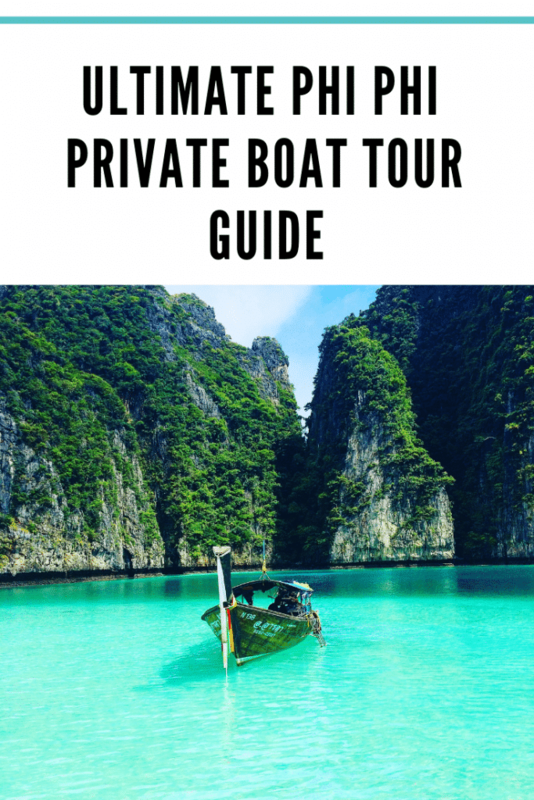 What are the locations of a Phi Phi private boat tour? Well this is the best part. By booking onto a private boat tour you have the power to choose where you want to go and how long you want to stay at each destination. Beat the crowds and set off early to witness an incredible sunrise or sip an ice cold beer whilst the sun sets over Phi Phi Island. Either way you’re going to create amazing memories for life. Enjoy the day island hopping with a custom built trip designed exclusively for your group of up to 8 people. So, Five Star Travel will tailor the day to meet your needs and are happy to accommodate any special requests whether this is related to activity, location or special occasions. There is even choice to change your route on the day depending on how you feel. 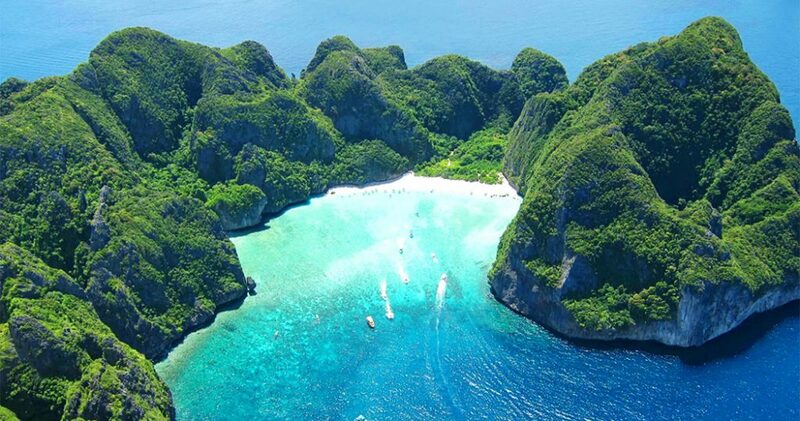 Maya Bay is one of the world’s most popular beaches, made famous by the film Beach. It has recently been re-opened after allowing the environment to recover due to a high rise in tourism over the years, so what better time to go. Maya Bay is perfect for both sun seekers and thrill seekers. Relax and unwind on the stunning sandy beach or explore the exceptionally clear water and spot a wide range of exotic coral and fish. 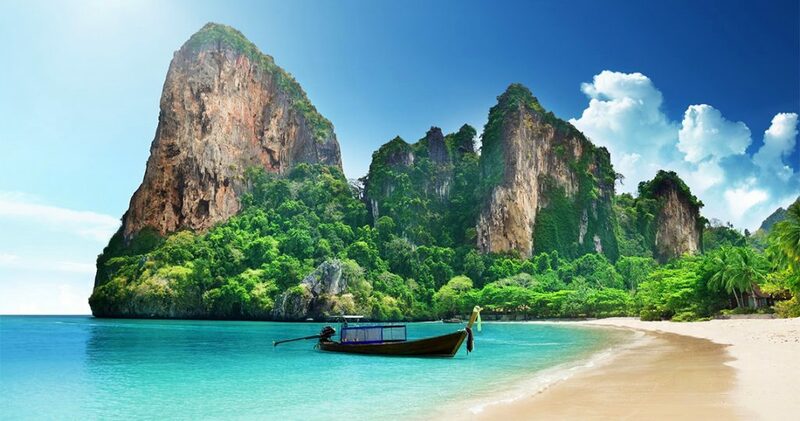 This is one of the most stunning places you will see on your Phi Phi private boat tour. This is one the best places you will visit and if you are thinking of doing a Krabi to Phi Phi boat tour, Maya Bay makes it worth the trip. 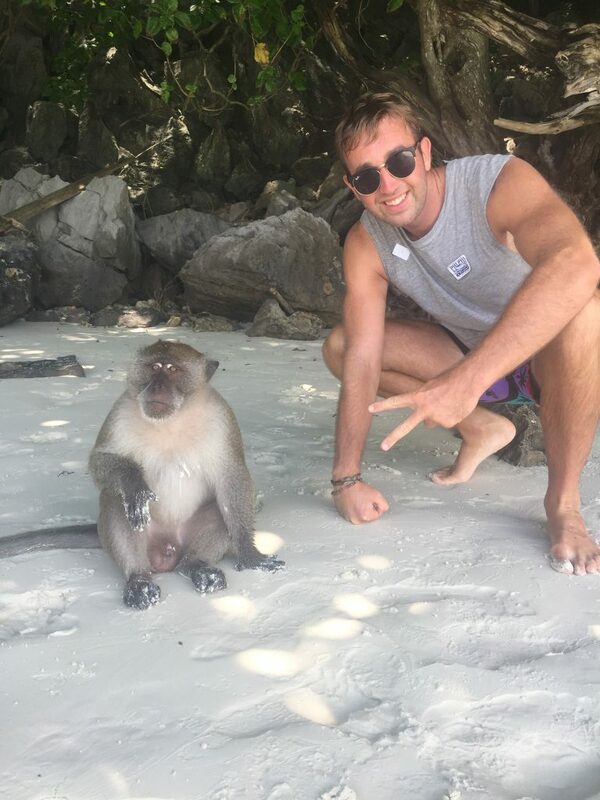 Monkey beach in Phi Phi is pretty much what it says in the name. A small strip of white powdery sand inhabited with some fury friends. But be careful these are wild animals and you can’t predict their behaviour. Palong bay is best known for the turtles that reside there on a regular basis so is perfect for those keen to snorkel. This epic place to visit in Phi Phu is located on the side of Phi Phi Ley, Palong Bay is the next bay north of the famous Maya Bay, made famous by the movie “The Beach”. Here you can do some epic Phi Phi scuba diving. You can also do the Phuket to Palong Bay by speedboat tour. You will most likely see a turtle on your diving adventure here, this is a cool experience. So don’t forget your GoPro. You may also have the chance to see leopard sharks. Sweet. Again Shark Point is fantastic for some under water exploring. Shark Point is a famous site for spotting tiger tail seahorses and resting leopard shark, but don’t worry this kind of shark is totally harmless to humans. 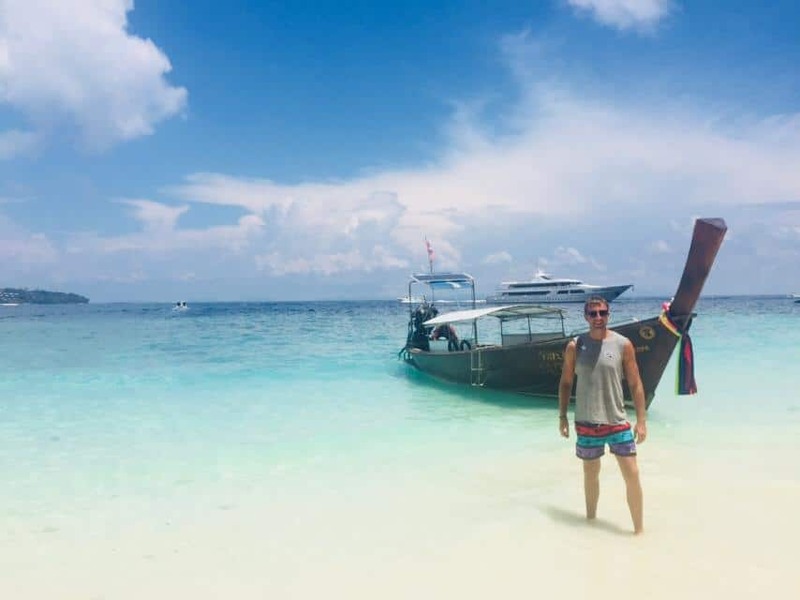 You can walk to the to long beach from phi phi island for about 40min Here you can hire a longtail boats that will take you to shark point for 500b for 2 persons for the boat and you can also do 1-hour snorkelling. This is a way to see the sharks at shark point in Koh Phi Phi. You private Phi Phi boat tour will take you there if you want. I would stick with the boat tour. Check out the Phi Phi nightlife on your visit. Tonsai bay is the bustling heart of Phi Phi and hosts the vibrant village from morning to noon. There are no cars of Phi Phi, so most places require a short walk or bicycle ride. For example you could try to combat the famous Phi Phi Viewpoints before heading back to the point. 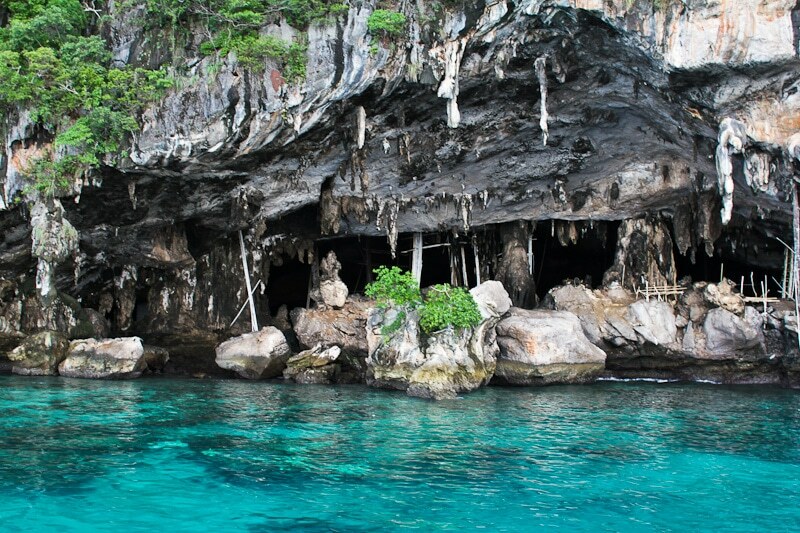 Viking Cave in Phi Phi is a magical array of swiflet nest (a type of bird often confused with a swallow) which are supposed to boost virility and according to legend stranded sailors used to eat the nest for survival. The Viking Cave can only be accessed by water and unfortunately you can only get your Instagram shot from a distant as you can’t go inside the cave. Bamboo Island is a typical thai island sporting crystal clear water and tropical white sandy beaches. There is a small bar that serves drinks and snacks to replenish after a busy day of sightseeing. You should ask your Phi Phi private boat tour driver to take you here. It’s perfect for swimming, sunbathing and topping up those tans and if you’re not one for sitting around it only take 1.5 hrs to walk around the whole island. By far one of my favourite places in the whole of my Thailand experience. It’s basically an enormous sparkling pool of warm salt water, completely closed off from the rest of the island creating a sense of wanted isolation from the outside world. Words can’t explain how amazing this place was. I would definitely recommend Pi Leh Lagoon as a hot spot on your private boat tour. Loh Samah is a small bay perfect for snorkelling. There’s no need to dive deep, just by staying on the surface you can swim among the hundreds of pretty coloured fishes. If there is a specific location you want to visit that isn’t on this list, just ask the chartered captain and he will do his best to accommodate your wishes. But don’t worry Five Star Travel are happy to design the tour route if you’re feeling a little overwhelmed with choice or if you have limited time. This is one of the most luxury tours to Phi Phi Islands. This is the ultimate experience to visit the world famous Koh Phi Phi Islands from Phuket. 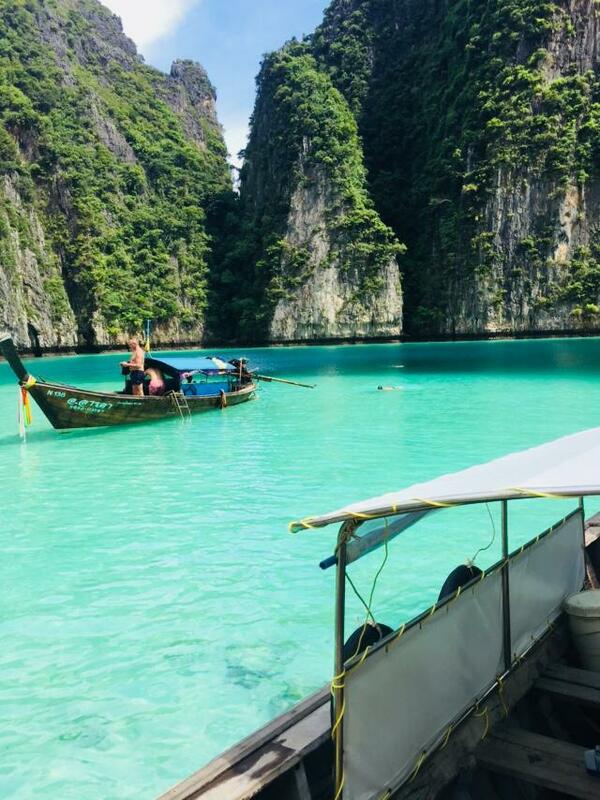 A tour compoany will collect you from your hotel in Phuket, take you on a speedboat tour around the Phi Phi islands and then take you back at the end of the day. Enjoy the awesome Phi Phi sunrise on this amazing boat tour. You will get the chance for snorkelling at 5 stunning destinations. The snorkelling is the best I have done in Thailand. Also, breakfast and dinner is included on this epic tour. You have to be up early for this tour from Phuket to Phi Phi. But it’s totally worth it, to experience these islands in a way most people can only dream of. You can expect to leave the pier in Phuket at 06:00am and return by 04:00pm. The private speedboat from Phuket to Phi Phi tour is a great option if you don’t have time to stay for 1 or 2 nights on Phi Phi. You can also do the private speedboat tour from Krabi to Phuket which is a good option. Which is the best Phi Phi island boat tour company? There so many Phi Phi island tours, but which one should you choose? 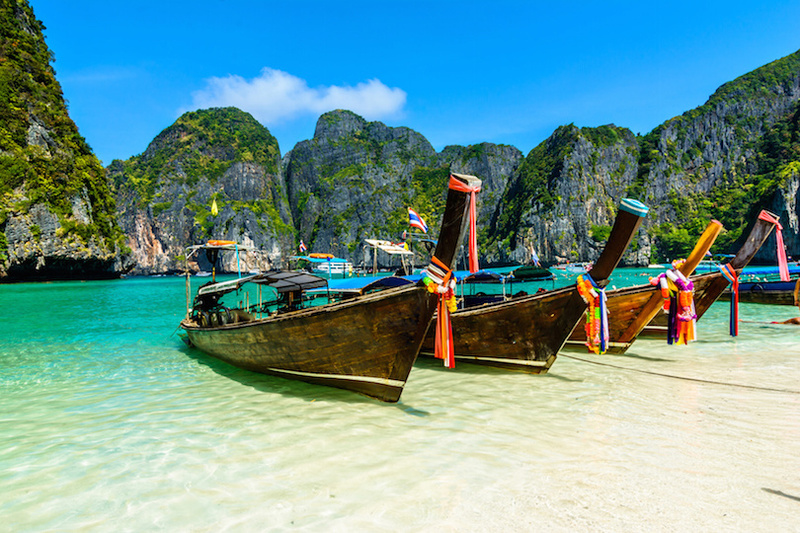 There is the chance to do a public or private boat tour around Phi Phi. I would definitely suggest not to do a public tour. 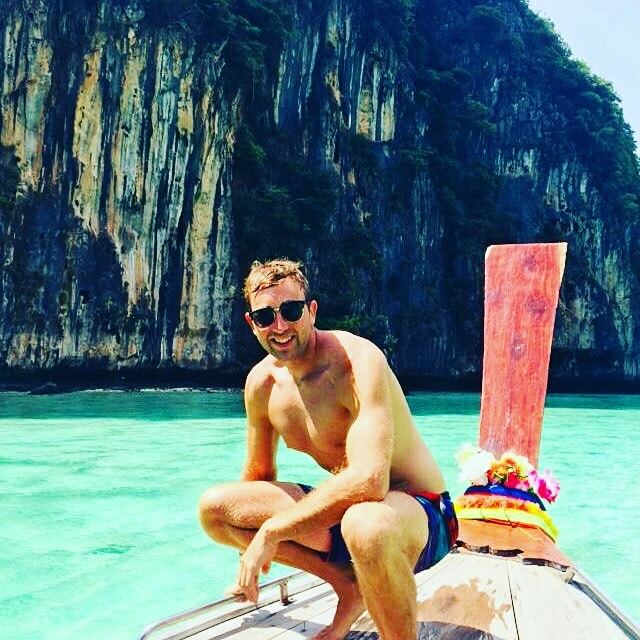 There is just too many people on the boat and you won’t get to enjoy the best things to do in Phi Phi islands! So make sure you book a private boat tour around Phi Phi. But I know there is a lot of companies that offer private tours. Therefore, I can speak of experience and recommend the Fivestartravelandtours on Phi Phi. You can also see the amazing Phi Phi island and the other epic places like Maya bay, by doing the boat tour from Krabi to Phi Phi. This is a good choice if you don’t want to stay for 1 or 2 nights on Phi Phi and you’re stuck on time. A lot of tourists to Krabi choose to do this tour. Another popular choice is the Phuket to Phi Phi boat tour. How much is a Phi Phi private boat tour? starts at 2650 THB (82 USD) for two persons on a 3 hour tour. To add an additional hour this will cost 650 THB (20 USD) and an additional person will cost 450 THB (14 USD). Also remember Phi Phi National Park fees aren’t included so bring some extra cash with you on the day. Booking a private boat tour is easy, just head to fivestarttravelandtours.com and using their booking system to choose a date, time and group size. 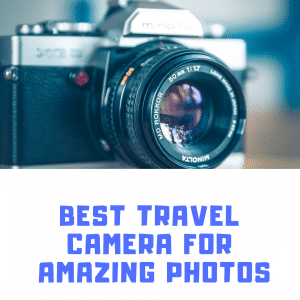 If you have any further questions you can comment on this blog post and I’ll be happy to help or you can contact five star travel themselves through their facebook page or email (office@fivestartravelandtours.com). We decided to book our Phi Phi island private boat tour starting at 6am so we would be back for lunch time to use the rest of our day to explore Phi Phi Island on foot before heading back in Phuket. We met at the designated meeting point in Tonsai Village, 5 minutes from the main port. On the day we were met by our friendly English speaking captain who showed us around the boat before checking over the locations of the Phi Phi boat tour. The day went ahead without any problems and the tour exceeded our expectations. The captain was very knowledge and shared with us the history surrounding Phi Phi. I would highly recommend fivestartravel, a professional skilled company who provided great communication before and during the tour. I can’t wait to return to Phi Phi and have the opportunity to explore these hidden gems even further. Phi Phi island Village Beach – Hands down one of the most popular and best places on Phi Phi is the Phi Phi island village beach which gets booked up very quick. This amazing accommodation is bungalows on the Phi Phi beach, that have some of the best views on the island. These amazing bungalows are perfect for honeymoon vacation to Phi Phi or those of you one a sweet holiday break. U-RIP – The rooms are big, clean and modern with a complementary mini bar and a large balcony with seating to enjoy a glass of brandy whilst the sun goes down. The hotel even offers as type of infinity pool that looks out into the ocean, pretty cool if you ask me. Phi Phi Natural resort – Laemthong beach is on the quieter north east side of Koh Phi Phi Don. This is a cool area for a relaxing. 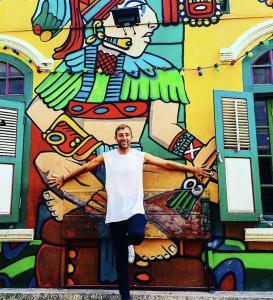 Therefore, I wouldn’t really visit here as a backpacker looking to rave the night away! Perfect for a 1 or 2 night stay on Phi Phi. If you are visiting Phi Phi island, Thailand. Then the best thing you can do is one of the Phi Phi private boat tours. 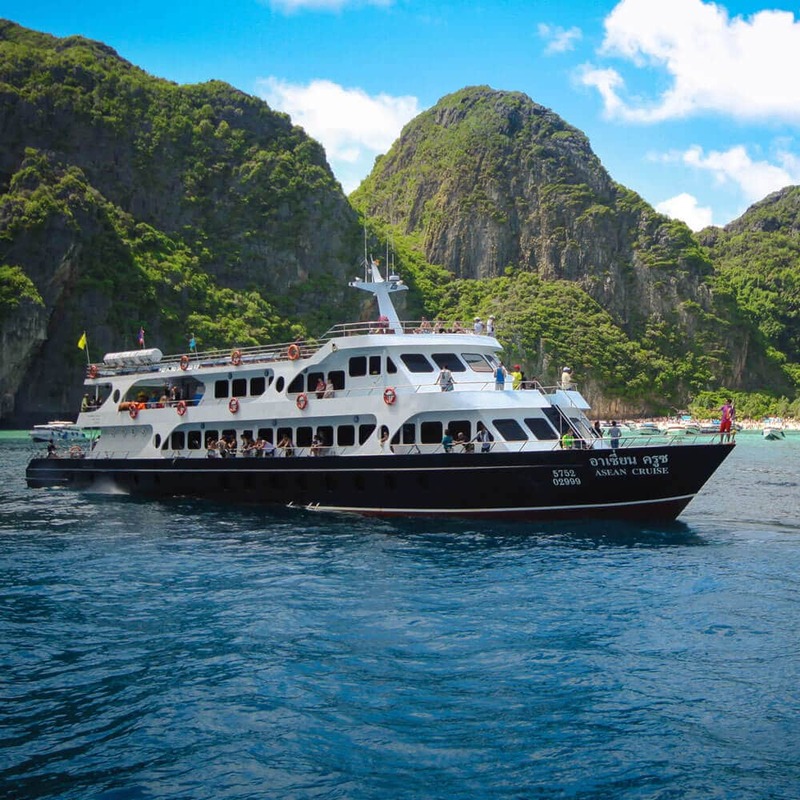 There is not a better way to see the jaw-dropping Maya bay and the other amazing places you will see on the epic Phi Phi boat tour. 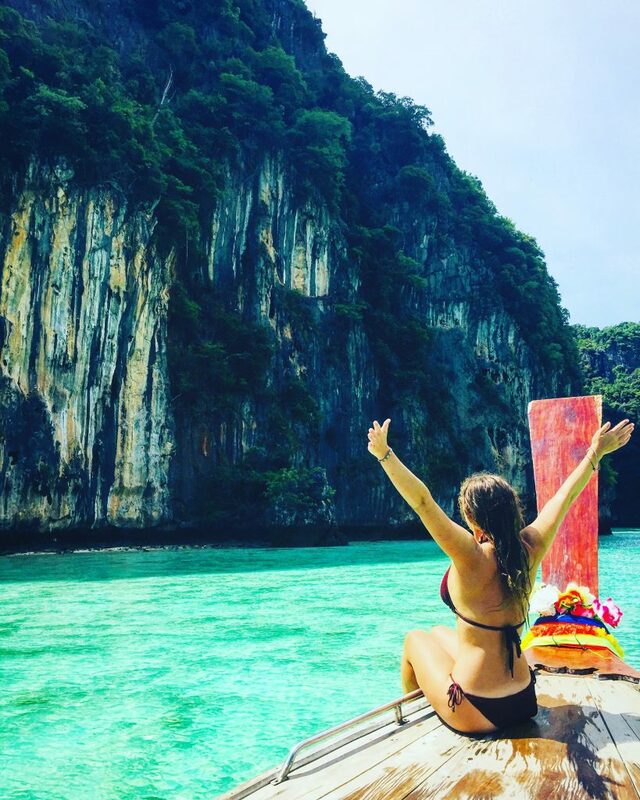 The cost of a Phi Phi island tour is completely worth it! Even if you are a backpacker on a budget, you need to do this top tour. In my eyes this is one the best things I did in Thailand. The photo opportunities you will get are unbelievable and the Phi Phi boat tour is something you will remember forever.